33 sheds and 4 dead heads between my father, my kids, and I…with 5 sets. 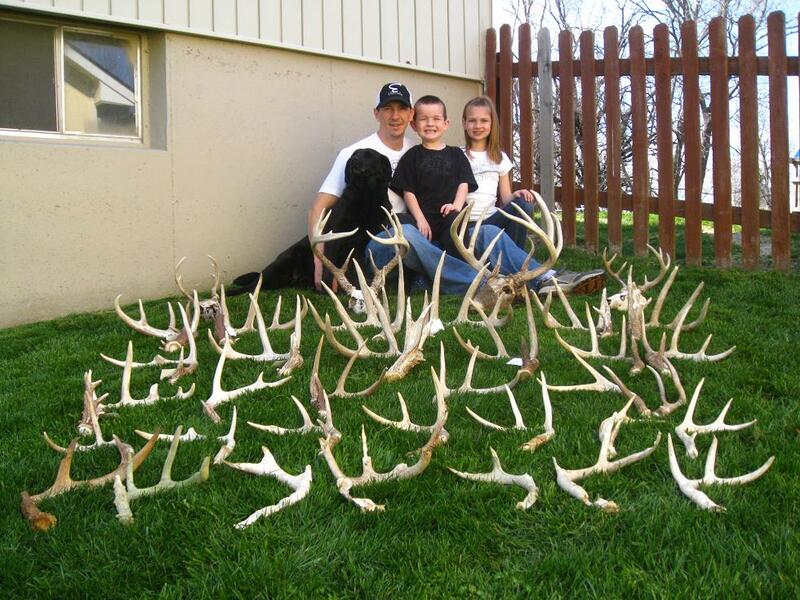 Our best shed season ever for as far as big sheds go. 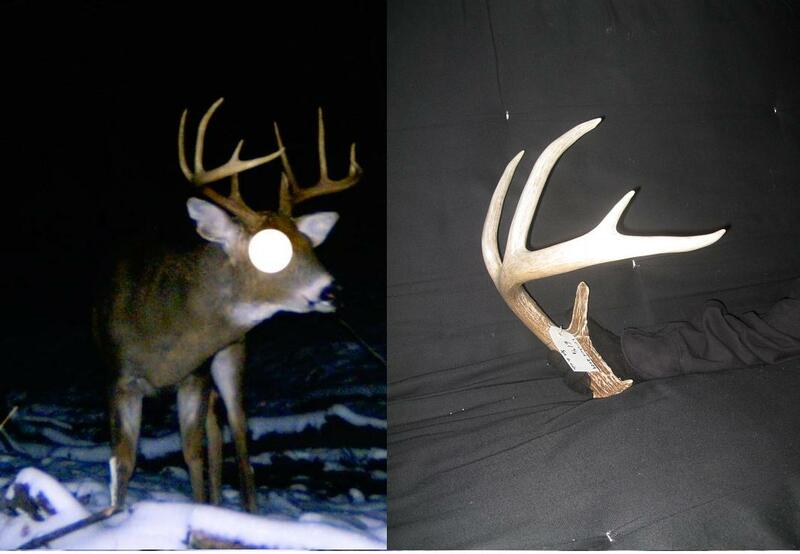 This is a buck that gave Larry and I the slip on two different sets last season in turn giving him the nickname Slipster. I believe he is a 4 1/2 year old that will hopefully taste some carbon this coming season. His right side scored 61 4/8. Larry and I are off to Lake of the Ozarks this weekend for some crappie fishing with a bunch of friends and then plan on hitting the woods hard on Monday for the MO Turkey season opener. Wow that is an unbelievable shed season! Looks like you and the kids were BUSY! Way to get them involved. Hope you slay the crappie and whack a big one on opening morning… best of luck! I hadn’t realized you had such a good season this year. Congrats Ty!